The MWRD employs a windrow turner to blend and mix its compost product that is comprised of woodchips and biosolids from the water treatment process. The blend is in strong demand during growing season and presents a victory for the environment. The MWRD has a consistent amount of this quality product now available at two convenient locations. Landscapers and gardeners seeking premium quality compost while making a commitment to their environment can look no further than the Metropolitan Water Reclamation District of Greater Chicago (MWRD) for a new eco-friendly product. The MWRD is now offering its composted biosolids for sale at two locations. This effective blend is popular, effective, economical and safe and already a hit with gardeners, park districts, golf courses and landscapers. Composted biosolids are a product of wastewater treatment that improve soil quality by supplying organic matter, improving soil structure and porosity for a better plant root environment, and retaining nutrients longer which allows plants to more effectively utilize them. Composted biosolids can be used as a soil amendment or conditioner for establishing turf grass, mixing into custom topsoil blends, or adding to planter beds and pots for establishing flowers and trees. The MWRD is selling the composted biosolids for $10 per cubic yard, plus tax. "We are reducing our transportation costs and carbon footprints while creating a revenue stream to lessen the financial burden on the taxpayers," said MWRD President Mariyana Spyropoulos. "We hope to find partners to join us in making this program a success for the residents of Cook County." The sale of compost is only one aspect of the full cycle of MWRD's new resource recovery program. Because the compost ratio is 3:1 woodchips to biosolids, the MWRD blend requires a steady flow of woodchips, yard waste and other feedstock. 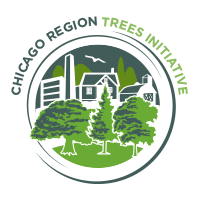 The MWRD has partnered with the city of Chicago to produce the composted biosolids blend by co-composting woodchips from the city's routine tree trimming program and woodchips collected from ash trees lost due to the emerald ash-borer devastation. In order to blend this dynamic product, the MWRD will inevitably need additional feedstock sources. To make that happen, the MWRD is accepting yard waste and other organic materials to help grow its composted biosolids program. Municipalities, park districts, landscape maintenance companies, yard waste haulers, tree trimming companies and utilities looking to unload bulk piles of woodchips ground to 1-inch or less are invited to participate in the program. Materials can be dropped off by appointment at two MWRD locations for only $20 per ton; however, the MWRD offers a reduced fee through a provisional rate currently available to applicable customers. This delivery charge will allow the MWRD to recover program costs. The woodchips are used as a bulking agent for composting with biosolids in open windrows at the MWRD's Harlem Avenue Solids Management Area (HASMA) and at the Calumet Solids Management Area (CALSMA). The composting process raises the temperature of the biosolids and wood chip mixture, which kills off pathogens to meet the USEPA pathogen reduction regulations required to achieve the Exceptional Quality (EQ) biosolids standard. "Rather than disposing these different materials and solids previously considered waste, we are able to return it back to the earth to sprout new plant life around us," said MWRD Commissioner Frank Avila. "We are establishing a sustainable program with a potential revenue stream that will benefit taxpayers and residents of Cook County and we hope to attract many participants that share a similar passion for our environment." Since its inception in 1889, the MWRD has worked to improve the environment and protect public health, but the way it views its work has evolved. Sewage is no longer a waste product, but instead a collection of resources to be recovered and reused. Through resource recovery efforts, the MWRD is also providing a similar return to taxpayers, promoting a clean and sustainable environment and reducing greenhouse gases. State legislation signed by Gov. Bruce Rauner in 2015 recognized MWRD (EQ) biosolids and biosolids compost as a safe, beneficial and renewable resource that can be made available to the public. EQ biosolids and biosolids compost are used to enhance landscaping at parks, athletic fields and in agriculture. To contribute yard waste, email yardwaste@mwrd.orgor call (708) 588-4300. 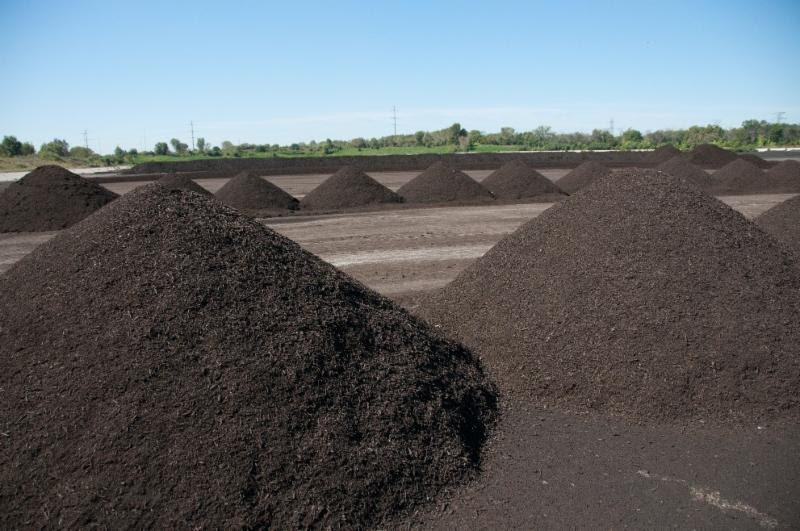 To arrange for a pickup of the compost, call (708) 588-4300 or email biosolids@mwrd.org. For more information, contact the MWRD at (708) 588-4201. Piles of compost await pickup for a new home, which might be a garden, lawn, golf course or park. Composted biosolids can be used as any compost would be, as a soil amendment or conditioner for establishing turfgrass, for mixing into custom topsoil blends, and in planter beds and pots for establishing flowers and trees in nurseries.